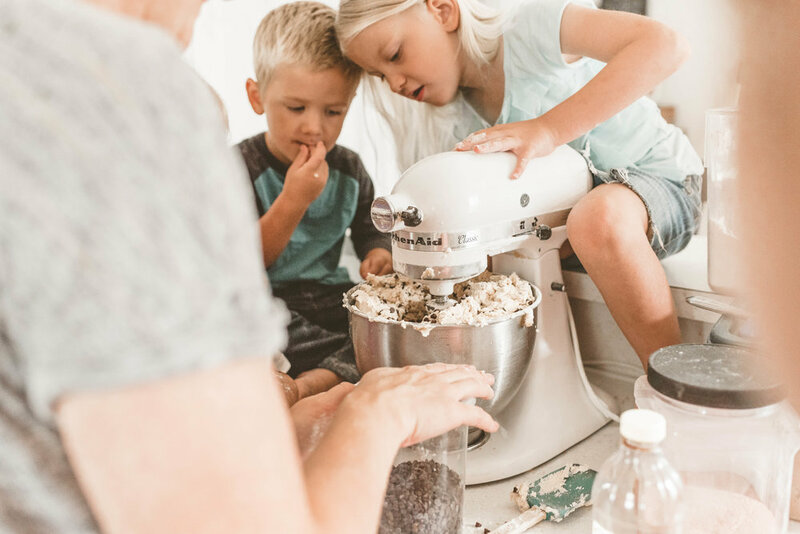 I am so delighted by all the real moments that happened during this lifestyle cookie bake session, that took place in the client's home. These things were not pre-planned or staged. 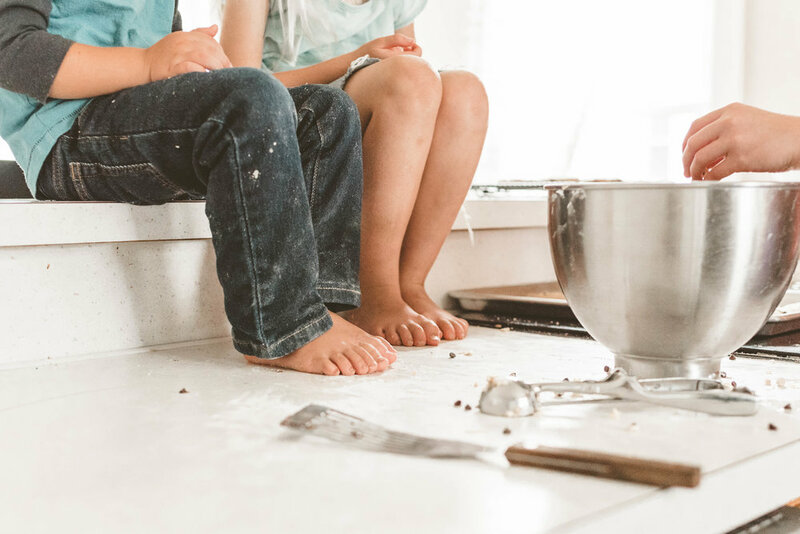 Do you let your kids sit on the counters while baking cookies? If not, try it sometime! This is clearly not the first time they sat on their perch in the kitchen and I'm positive it won't be the last! Being in this home reminded me again of the importance of letting kids be kids. The relaxed atmosphere is a breeding ground for happy children. 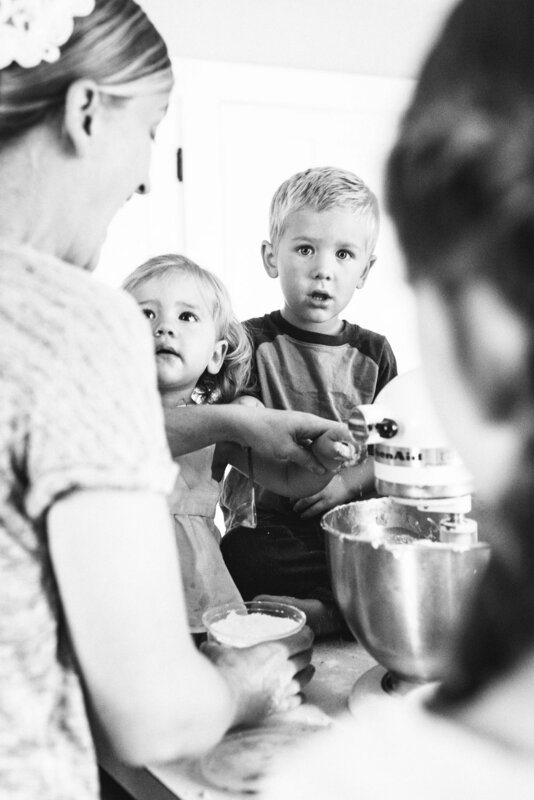 These two siblings are best buddies and were so cute during their cookie bake session. Sitting side by side, chatting at one another, so relaxed and enjoying each other's friendship. I love to pull dad into these sessions too. . .
Lifestyle sessions don't have to be hours long. Typically sessions with Sparrow's Flight Photography last 45-60 minutes. After talking to my clients and finding out their interest, we then together, come up with an activity. Having this planned ahead of time eliminates any awkwardness during the session. Families have a reason to naturally engage one another and I get to capture those interactions. I do guide and give suggestions as needed, as well as educate before the session. My desire is that my client will anticipate their session without fear or stress. And that good memories are made during our time together. Interested in getting some fun memories of you and your family documented? Click here to learn more or click here to opt in to see my complete client guide. I am located in Ephrata, Pa but I am more then happy to travel to your home.